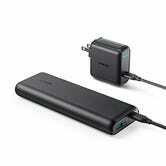 The PowerCore Speed 20000 is one of the few battery packs on the market with USB-C Power Delivery up to 22.5W. 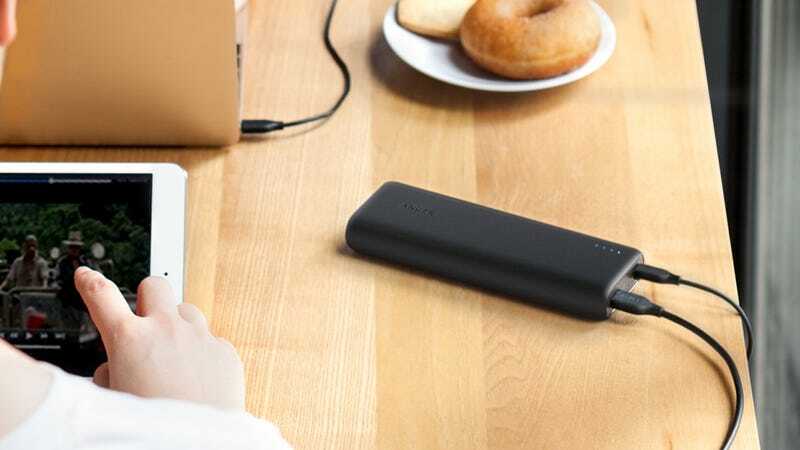 That means it can charge a 12" MacBook at nearly full speed, a Nintendo Switch at full power while you’re playing Zelda on a plane, or an iPad Pro significantly faster than the charger it came with (if you have a USB-C to Lightning cable). We saw this thing at CES last week, and while its capacity is slightly smaller than the similarly equipped PowerCore+ 26800, it’s dramatically lighter, and probably the better choice for most travelers. They’ve marked it down to an all-time low $80 $60 today on Amazon, which is $10 $30 less than its launch price, and $20 $40 less than its regular going rate.